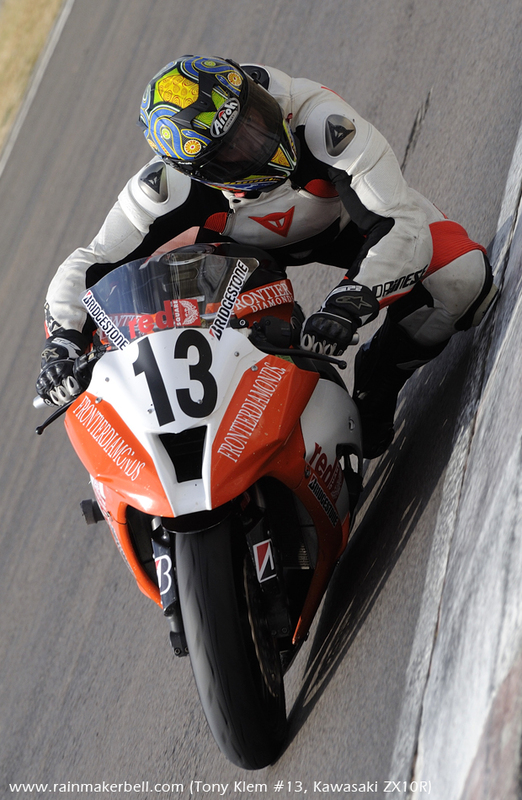 —Kawasaki ZX10R (Red Square Kawasaki ZX10R Masters Cup Club). I look at myself in the mirror. In the background Gorillaz are complicating my situation with "On Melancholy Hill". I look old, as if time has finally caught up with me. My beard has turned partly white; I have to shave regularly to hide this fact. Can’t do anything for my sideburns, if you stand close enough, you’ll witness the evidence. Is time taking the golden locks away, and replacing it with wisdom? Or is it divorce, stress, lack of sleep, Rock 'n Roll (in my younger days), over worked, too short holidays? Karma? Pressing demands of society; Facebook, the Internet? I don’t know. Maybe, it is what it is. I stand in front of the shampoo shelve, there are so many different kinds, and that excludes those you colour your hairdo with. I immediately think of JB "the real Tony Soprano" Schoeman (#23). 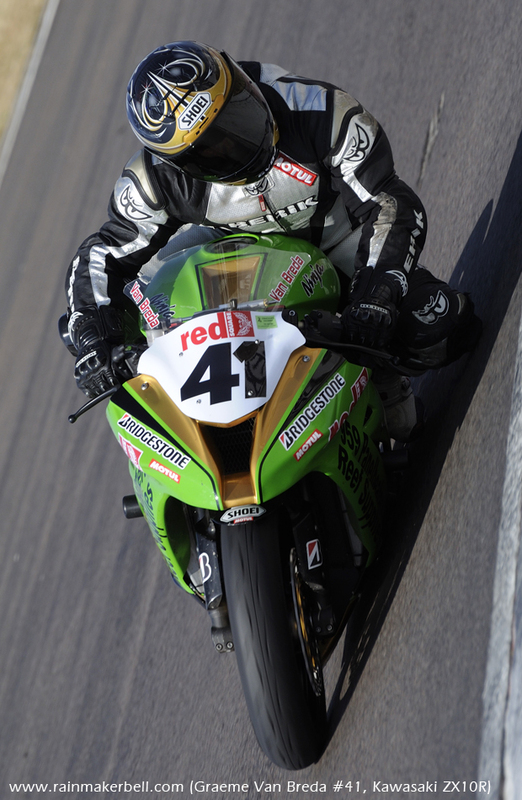 (For those who are unfamiliar with his name, his is one of many Red Square Kawasaki ZX10R Masters.) He has it easy in some sense, if you catch my drift. I grab a bottle of Palmolive Apple; it looks like anti-freeze, but smells great though. I don’t think it will un-grey my hair, but it will do for now. I read in a British Newspaper that Brylcreem might just do the thing; it is not advisable if you are a true scoot jockey. Wash, rinse, repeat, and the grey sticks. Maybe, I must just accept the fact that I have also reached the halfway mark in my life. In the Northern hemisphere, they have a thing called SAD (Seasonal Affective Disorder). It starts in the fall and lasts almost the whole winter. Lack of sunshine, or the fact that you don’t see the thing, winter blues, something like that. Their race-garage is ALWAYS open, so come show you ugly mug. 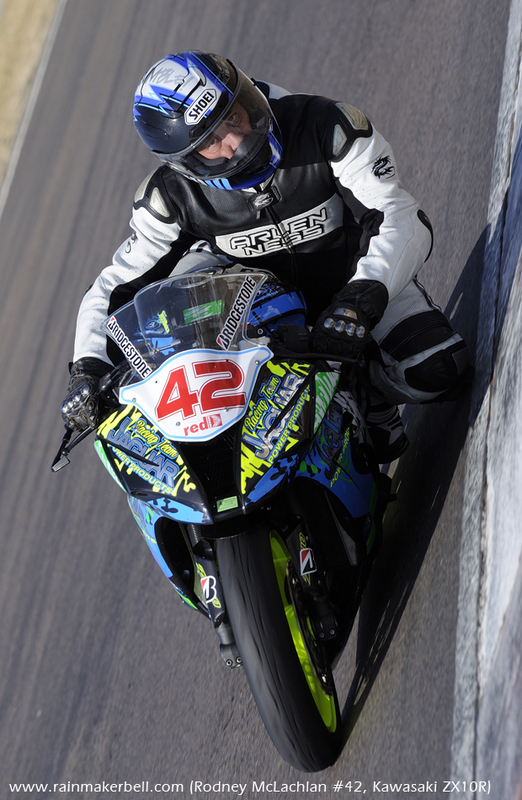 Their season goes full throttle with TEN exciting motorcycle racing events beautifying the racing calendar: Starting off at Zwartkops Raceway on 20 & 21 February, racing their way through to Red Star (Delmas), Phakisa (Free State), Port Elizabeth, East London, and, then again to Zwartkops. They also make several thunderous appearances at the internationally acclaimed Kyalami Raceway (by now you are well aware that the Grand Wizard, Toby Venter, owns the place). From Kyalami, it is off to Cape Town, then back to Zwartkops. The Red Army bows for the last grand curtain (of the season) at the amazing Kyalami Raceway. YOU! ... YES! YOU! Definitely have nothing to do this upcoming weekend. Except thumbing the damn remote, and that is bad for you, REMEMBER! So? Scoot over to the illustrious Zwartkops Raceway, for the Extreme Festival: Red Square Kawasaki ZX10R Masters, Production Cars, Silverton Bolt and Nut Brunch Run Challenge, Thunderbikes, Speed and Sound 111 Sports and Saloons, Leisure Grass Superhatch and the Engen Volkswagen Cup. If the in-laws are visiting you have even MORE reason to be part of THIS thunderous sound-cloud. Come Friday, for a foretaste, it’s FREE (entry), with a full PRACTICE programme (South Africa can do with more Friday Slackers). 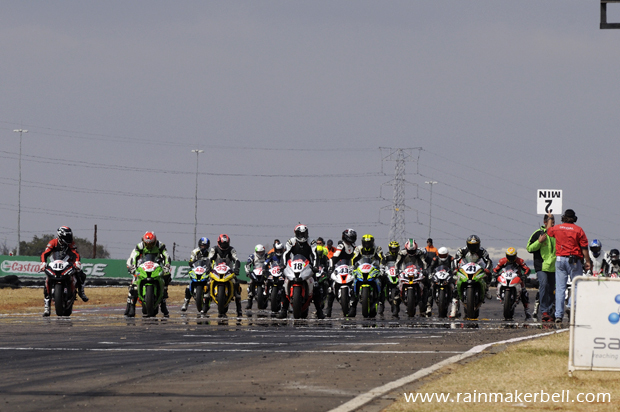 © 2015 www.rainmakerbell.com - Prequel 2 Sequel - Extreme Festival, Red Square Kawasaki ZX10R Masters, Zwartkops Raceway, South African Motorsport, 2015/02/16.